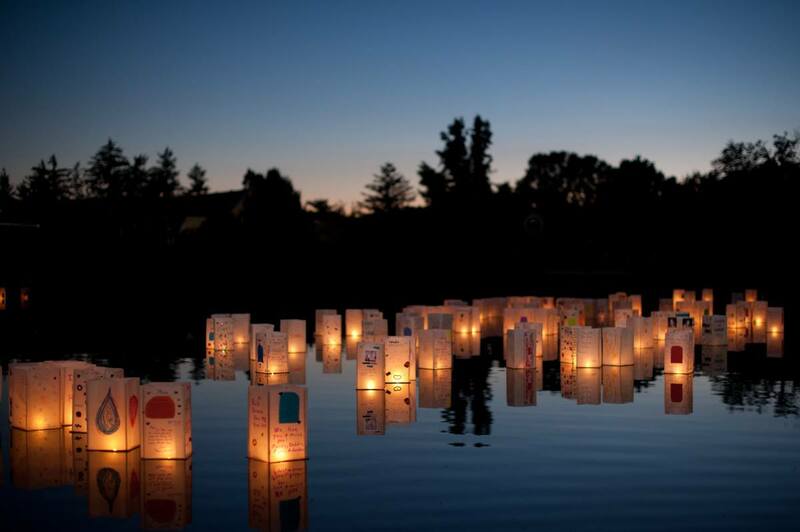 As many of you know, I was scheduled yesterday to tell stories to children at a lantern lighting ceremony at Lakewood Cemetery. There were not a lot of people at the storytelling tent, probably because we had a little trouble getting the balance right: power was limited to one generator, which meant only the musicians had a microphone. In our effort to be far enough away from them to be heard, we were a little too far away to be noticed at all. Still, I enjoyed preparing my stories, and hope to be back in future. The piece below is an adult version of one of the stories I told yesterday. I predict an occasional series. There are a lot of men buried in Lakewood Cemetery. A lot of women, too. In fact, it’s probably pretty equal how many men and how many women are buried there, though I never asked anyone for a tally. But as might be expected, since cemeteries are a reflection of the values of our culture over time, you hear a lot more about the men than you hear about the women. Even now, if you go to the famous memorials page on Lakewood’s web site, although there are a number of notable women buried in Lakewood, you will only see one woman listed on this page – Clara Ueland. The self-guided walking tour brochure is a bit better: out of 49 monuments of note, I count nine that reference women. 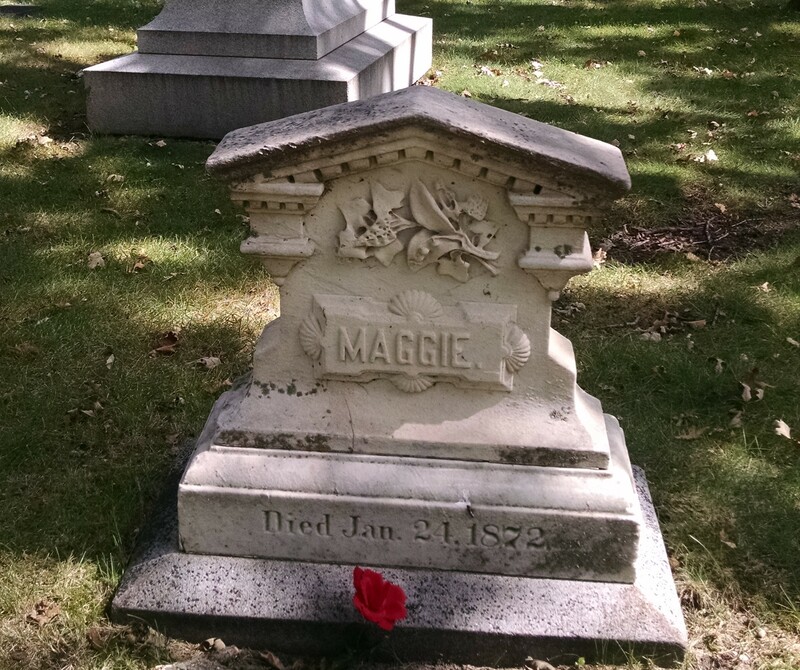 A lot of things have changed for women since the first person was buried in Lakewood Cemetery back in 1872. That would be nineteen year old Maggie Menzel, who by some strange irony is #19 on the brochure. For one thing, women don’t die so young – though this is true for both sexes. The average lifespan then was 47 years. For another – and this is gender-specific – women now have the right to vote. It still is hard for me to believe that both my grandmothers did not have this right when they were born. Clara Ueland was one of the women who fought hardest for that right, in Minnesota and elsewhere. Clara Ueland’s grave is not particularly fancy, like the monument that Louis Rocheleau built for his wife Charlotte. Charlotte was 37 years old when she died. And that’s all I could find out about her. But if you want to find Charlotte Rocheleau’s monument, it’s not difficult to do. At 45 feet high, it is the tallest one in Lakewood Cemetery. Now that’s putting a woman on a pedestal. I didn’t have any trouble finding Charlotte Rocheleau on her pedestal, but despite walking around last week with my self-guided tour brochure, I had a hard time finding the Ueland plot. Eventually I did, with Clara Ueland’s marker flush against the ground. They were not ostentatious people. We know a lot more about Clara Ueland than about some of the other women who are buried at Lakewood and also did some pretty important things. Women like Borghild Dahl, who overcame blindness and prejudice against the disabled to become a high school principal and a college professor. Or Orianna McDaniel, who was the first woman physician at the Minnesota State Health Department back in 1896. Or Millie Bronson, a freed slave who cared for the children of George Brackett, and is buried in the family plot because she wanted to be near one of those children who died very young. Millie Bronson lived to be over one hundred years old, and she loved those children, and that’s really all we know about her. I personally know more about Clara Ueland than about these other women because I read O Clouds Unfold!, the biography written by her daughter Brenda. In fact, I came to know Clara backwards; it was her daughter whose name I recognized first. Her husband, Judge Andreas Ueland, was encouraged to write his memoirs. Clara was not. The fact that she died an untimely death – hit by a truck on an icy day, getting off the streetcar in front of her own home after a session at the State Capitol – would perhaps have prevented it if she had been. 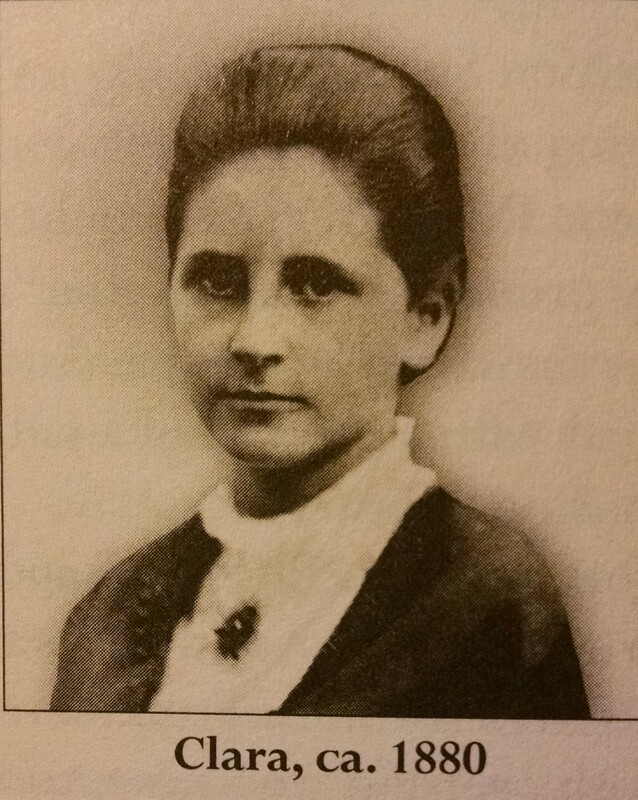 Clara Ueland was born Clara Hampson in 1860, before the Civil War, in Akron, Ohio. Her father was in the Union Army. It’s not clear from the biography whether he saw much fighting, but when he was discharged he was quite sick. He died when Clara was four years old, and she and her mother and brother moved out to Minnesota to be with her mother’s sister. For awhile they lived in Faribault, and then they moved to Minneapolis. Clara was twelve years old. They ended up living in a shabby apartment over a hardware store, and the family was very poor. She went to Washington School in Minneapolis, a grade school and high school combined, which was where Hennepin County Medical Center is now. A friend of hers said that even though she wore the same brown dress day after day after day, she always looked beautiful in it. She graduated from high school at seventeen, and began to teach seventh and eighth grade at Jefferson School. A seventeen year old, teaching twelve and thirteen year olds. These days quite a few teachers are women. But when Clara became a teacher this was a relatively new thing. It used to be that all the schoolteachers were men, schoolmasters, like Icabod Crane in The Legend of Sleepy Hollow. It was during the Civil War that women started teaching – as usual, because there was a shortage of men. Clara taught herself to be a schoolteacher by reading Plato. She met the Norwegian immigrant boy who would become her husband at the Unitarian Church. Not the Lutheran Church. Andreas Ueland (whose own memoir was considered unpublishable because he wanted to talk too much about the effect of the German Higher Critics on his faith, an issue I can relate to) had worked his way through law school digging the Washington Avenue sewer. At the Young Peoples’ Society meetings, Clara and Andreas talked about Charles Darwin and Thomas Henry Huxley, John Stuart Mill’s essay on The Subjection of Women, and Henrik Ibsen, who had just written A Doll’s House. They married in a quiet ceremony at her brother Fred’s house in 1885. It was predicted she could not live for more than two years after marriage. What kind of person would make such a prediction I don’t know. Whether it was tuberculosis they feared (“transparent” often being a euphemism for “tubercular”), or the dangers of childbirth, is also unclear. But Clara Ueland went on to have eight children, four girls followed by four boys. One little girl, Dorothy, died suddenly of an unexplained illness three months after Brenda was born. Her mother always felt guilty that this “discouraged her” from recording the minute details of each child’s development. Sometimes she felt a regret and anxiety about it as though she had owed me especially, and subsequent children, more than she had given. When Sigurd was born, they called him “Boy” for two years, until they had to distinguish him from the next one. Clara had been a teacher, and she was always very interested in education, and had her own ideas about how best to nurture young minds. In their house on the south shore of Lake Calhoun they had one wall upstairs had a blackboard all across it, just like at school, where she taught her children there to draw and do arithmetic and write poems. They were home schooled until they were eight years old, because she wanted them to have the freedom to learn at their own pace and to be creative and to think for themselves. Back then kindergarten was a pretty new thing, and kindergartens in public schools were still pretty rare. Clara Ueland cared enough about how children learn to establish the Minnesota Kindergarten Association. 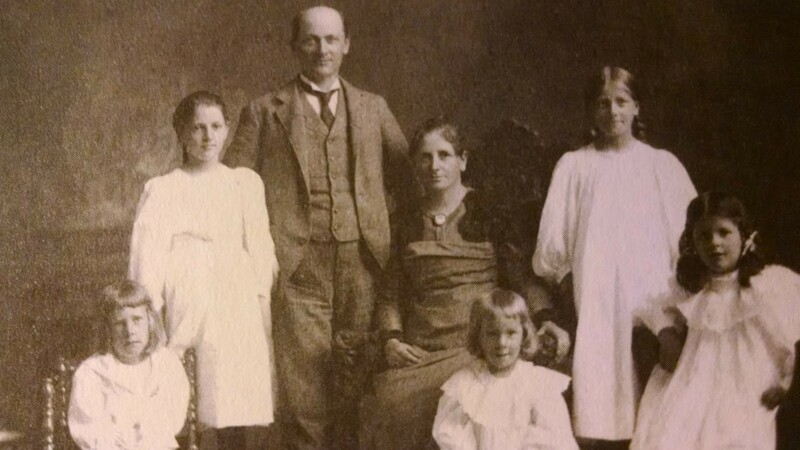 Sigurd, Anne, Andreas, Clara, Arnulf, Elsa and Brenda, ca. 1898. From O Clouds, Unfold! Although she herself never went to college, all three of her daughters did, and all three of them were free spirits with their own ideas. It was Elsa, their second daughter, who persuaded Clara to attend her first woman’s suffrage meeting. She was hesitant at first to mix with “colorful characters,” but the cause grew increasingly important to her. In 1909 she and Andreas went to Norway for a visit, when women could already vote in elections if they or their husbands paid taxes; by 1913, all women in Norway could vote. It took another seven years to win this right in the United States. Clara Ueland was one of the women who worked very hard for it. There were women who worked against it, too, and some of them are also buried in Lakewood Cemetery. Like Harriet Walker, the wife of Thomas B. Walker, the lumber baron who founded the Walker Art Center, and Eleanor Pillsbury – Brenda calls her “witty, cultivated and a little cruel” – the wife of Alfred Fiske Pillsbury, who wasn’t that much interested in the family flour business but donated HIS huge art collection to found the Minneapolis Institute of Arts. These were very important women, and although Clara Ueland had some position as the wife of a lawyer and judge, she remembered that brown dress, and she remembered Andreas digging that sewer. Andreas did not always like the fact that Clara was so involved with women’s suffrage. Andreas tended more and more to be unsympathetic, at least unenthusiastic, about all the time spent on politics and so she had come to that rather sad point in married life – she had learned not to confide in him in detail or with too much interest. Her work was not always appreciated at home OR at the Capitol. I suppose Andreas expected that when the 19th Amendment was passed and women were given the right to vote, things would slow down and get back to normal. But they did not. Instead the National Woman Suffrage Association became the League of Women Voters, “a ‘mighty political experiment’ designed to help 20 million women carry out their new responsibilities as voters.” They were not a partisan organization, but they had their own platform. They were very concerned about education for both children and adults, and about fair labor laws and safe labor practices. 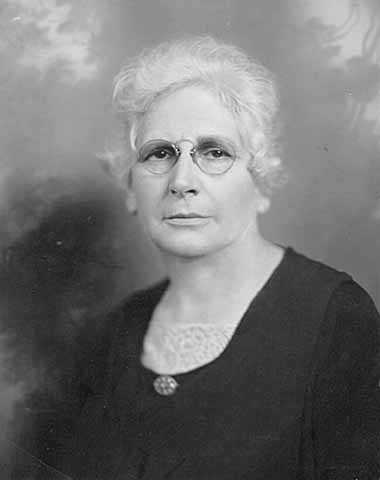 Clara Ueland became the first President of the Minnesota League of Women voters. There are many thousands of children in the United States today who are working in mills, factories, canneries, sweat-shops and mines, who should be at school, whose health is in danger, who may become delinquent and who will add, in a few years, to the army of illiterates in this country which already numbers three million native-born Americans. This is an emergency and calls for national action. As for your belief that this work is being financed by the Soviets of Russia, I can only say ‘It is to laugh!’ That the Journal should use this overworked and outworn bogey to discredit the Amendment is surprising indeed. With the passage of the Fair Labor Standards Act in 1938, many of the issues the Child Labor Amendment would have covered were addressed, and interest in it waned. Had she lived to see this, Clara Ueland would have been 78. You won’t find a statue of Clara Ueland at Lakewood Cemetery. 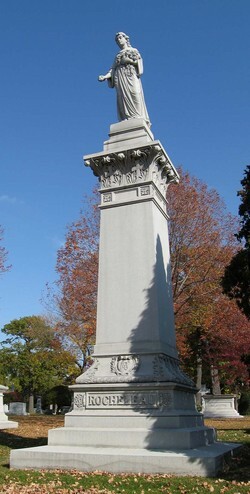 Thomas B. Walker’s memorial is a beautiful example of this. I suppose that is what Mrs. Thomas B. Walker would have wanted. But I don’t think I would want to be a symbolic woman, or a woman on a pedestal. I think I would rather be a real one, like Clara Ueland. It is something to aspire to. Wow – fascinating story. Thanks so much. I’m coming back to re-read this one. Loved the pictures as well. This is very different from what I was expecting — if I could have been expecting something specific (and I wasn’t). Really enjoyed this story. My paternal great grandmother was a woman of influence in her time, although not in the same way as Clara — and I am always fascinated by these women, who moved so outside of “norms” of the day, in so many ways. I am tempted now to go search out a graveyard and investigate a random name, just to see what comes up. Thank you for this post. I hope you do share more of these stories! A question for you: is there a missing “not” in the first sentence of the paragraph headed “clara… became the first president of….”? If not, I am a bit confused. Oh — and I also really enjoyed the accompanying photos, and the idea that the musicians got amplified and the storyteller did not. Diane: So sorry it took me this long to get back, but I think the missing “not” got corrected early in the week – perhaps even between the time you read and the time you made the comment. There were quite a few typos I’m afraid. It was a long creative week, and the post was only the tail end of it. Really enjoyed this, Paula. Such an interesting woman, a woman I’d not heard of before today, or at least if I have heard her name before, in passing conversation/articles; she’s not registered beyond name. Well done, Paula… as Jan said, Fascinating! Thank you m’dear. There are so many women who toiled for suffrage whose names are not known. In reading about Clara I also read a great deal about the suffrage battles in the UK, and the force-feedings, et al. It truly is sad when we don’t know how hard our forebears fought for rights we take for granted. Really interesting. She sounds like a thoughtful, dedicated woman. Yes. It is strange how coming to tell a woman’s story makes it feel like you have known her personally. I especially feel that way when I look at the photo of her in the hat, coming or going from a meeting at the Capitol. So interesting. The woman, yes, but the cemetery, too. I love visiting cemeteries. (This made me laugh: “Now that’s putting a woman on a pedestal.”) But I agree about most statues being symbolic women. I’m not sure I’ve seen a realistic one yet. Thanks for sharing Clara’s story. I’m glad I made you laugh, Sarah. Sadly, the most realistic female statue at Lakewood is of a little girl who died; she was about five. Paula, this was so interesting and inspiring! I’m with my sister today and told her about this article and we both want to read Clara’s biography. It is so amazing what women went through to have the right to vote. It is indeed, Raylynn. When I realize how recently those rights were won, it helps me understand why we are still battling sexism still in the workplace, and why “equal pay for equal work” is still a long way off. So many interesting stories in cemeteries. And a sense of our own future. Mr. Rocheleau had one huge anima projection. Yes, I’d rather be a real woman than an angelic projection. Thanks for your loving story of Clara Ueland. It’s great to honor a women mother/warrior who sacrificed so much for what I take for granted. Wonderful to read details about what it means to educate oneself and the children. I’m inspired by Clara Ueland’s life of action. It seemed to suit her, looking at that last robust photo. (Thank you for wonderful photos, too.) A few of the women in my talked politics, but never did a thing about it. It was left to me to carry banners and help tend the fire to burn the draft cards during the Vietnam War. I am glad to hear you call it a loving story, Elaine. Because that is how I felt when I was done, and I am happy that comes through. Excellent post! This topic is the lifeblood of my writing — I seek to relate historical events of the west through the gaze of the women involved but largely ignored (unless referred to as wife or soiled dove of the men on high). My current WIP is about a shooting attributed to Wild Bill Hickok. History provides an alternative if one understands and attributes the involvement of three women. Of course, serious historians never even considered the women let alone researched them. I think this opens up a huge opportunity for authors who write historical fiction. As to school teachers, the Civil War did provide a shortage of teachers, but woman had been teaching long before this. Private schools and families often employed educated women as teachers or tutors, though not many. By 1833, the first educational shortage occurred among teachers. Coeducation was also pushed and finally adopted out of practicality prior to the Civil War. Many women in my family and my husband’s were teachers in the early years. In fact, Todd’s 2nd great-grand aunt, Octavia Mills, graduated from Beloit College, WI in 1852 and taught school in St. Anthony until she married her husband, Z.E.B. Nash. Her brother (Todd’s 2nd great-grandfather), E.P. Mills, also taught school in St. Anthony and opened up a mercantile store there in 1853, another in Faribault in 1854. E.P. was friends with Issac Atwater (I’m disappointed to see he is not mentioned on the Lakewood Cemetery brochure) who was an early newspaper editor, MN Supreme Court Judge, hotel owner, land owner (of property we now call “Minneapolis”) and historian. His wife, Permelia Sanborn Atwater, also buried in Lakewood, was a writer and historian, too. But of course, we know less about her. E.P. Mills met Permelia’s sister in 1853 when she visited from New York. He married her and she’s Todd’s 2nd great-grandmother. 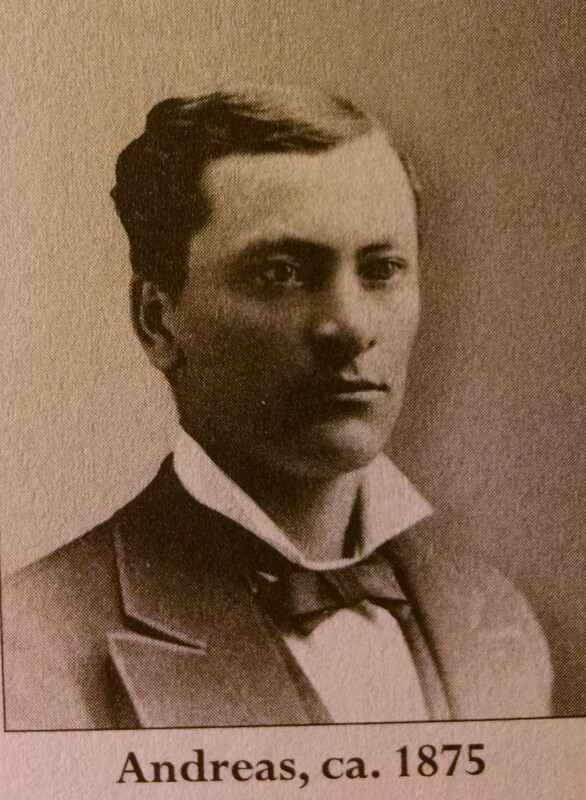 They had a son, John (Todd’s great-grandfather), who met his wife in Elk River. Do you know what he did for her before they married? He sent her to college at the University of Minnesota in 1890. Their daughter, also college educated, taught school in Nevada from 1918-1960s and is honored as an educator, photographer and naturalist by the state. How did she manage such a 50+ year career? She never married or had children. But, unlike her educated female relatives before her, she could finally vote! The Mills family, like many Puritans from New England, believed strongly in education — for both sexes. My family was Scots-Irish who settled in North Carolina pre-Revolution, nonetheless the women were educated early on, too. But most struggled to be accepted in society on basis of their intelligence, education and ability. They were expected to marry and education was often seen as a means to running a proper household. And, history often ignores the plight and contributions of these women. Great nuggets of storytelling to dig up and share! So pleased to read this, Paula! Thank you for highlighting the contributions of Clara Ueland. Oh, Charli! I am sorry I took so long to get here – this is an incredibly thoughtful and detailed comment with information I did not have, and I am so happy you took the time to contribute it. I will look for the Atwaters on my next walk – they are not only not in the brochure, but I can’t find them in Stew Thornley’s Six Feet Under: A Graveyard Guide to Minnesota either. That was actually a terrific resource for me, as I met a number of women there who were barely mentioned, if at all, in the official materials. Thanks for sharing Clara’s story, Paula. She obviously made a great contribution to advancing the rights of women and children. We are very fortunate that there have been game changers such as this throughout history. Yes we are. Sometimes ti takes the heavy weight of a tombstone to pound that in, but yes we are. Hey if you are ever interested, I know a lot about one of the women you mentioned – Dr. Orianna McDaniel. She was our family’s adopted “gramma” and I had the great honor of knowing her the last 10 years of her life (my first 10). She was an amazing woman too. Interesting writing! Thank you! And I am very interested. She is mentioned, briefly, in Six Feet Under: A Graveyard Guide to Minnesota by Stew Thornley. She also makes a brief appearance in Chapter 5 of the DHS journals, which are available on the Minnesota Department of Health website. Oddly enough, while you can get to and download the chapter here, the journals themselves require a login to the MDH library to access. I see her papers are in the archives at the University of Michigan, but they don’t appear to be accessible via the internet ehter. There’s also an intriguing slide show that on first scan looks like a student project: an interview of Barbara Fournier, who was raised by Orianna and her housemate. So much of women’s history has come to us in such fragments, but we piece things together as best we can. You should please write some of those interesting things in a blog post – or if you don’t have a blog, feel free to use the comments here. Or sketch some things out in the comments, and then start a blog!